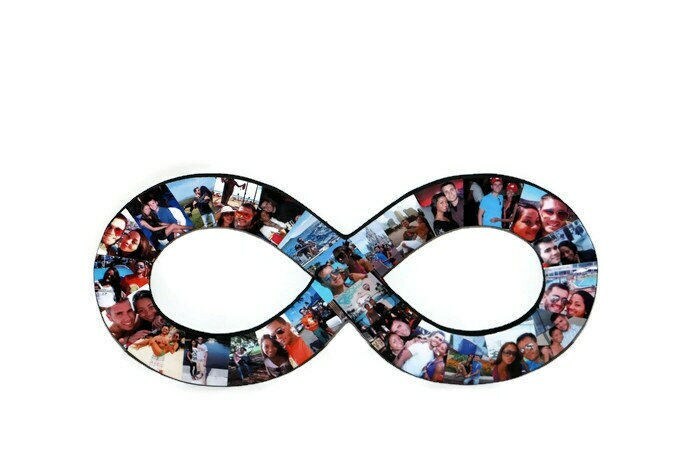 Custom photo shape of the number infinity or symbol. Hand drawn and cut from 1/2" thick Birch wood. 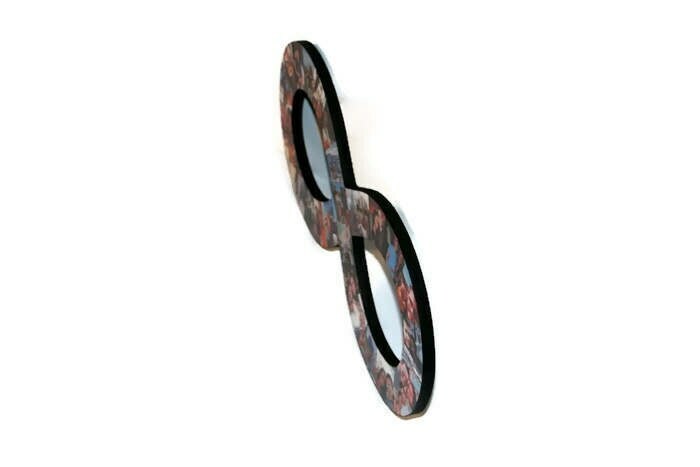 The symbols can be hung or sit alone on a shelf using a stand and holds about 17-27 photos. Each symbol comes with hardware to hang or a stand to put on a dresser or shelf. Use your photos of you and your best friend, your spouse your fiance, bae or your boyfriend or girlfriend. Remember holidays, milestones, weddings, relationships, friendships or any occasion. Be sure to find me on Twitter, Instagram, Wanelo, Flicker, and Facebook, just type in Initial Remembrance. 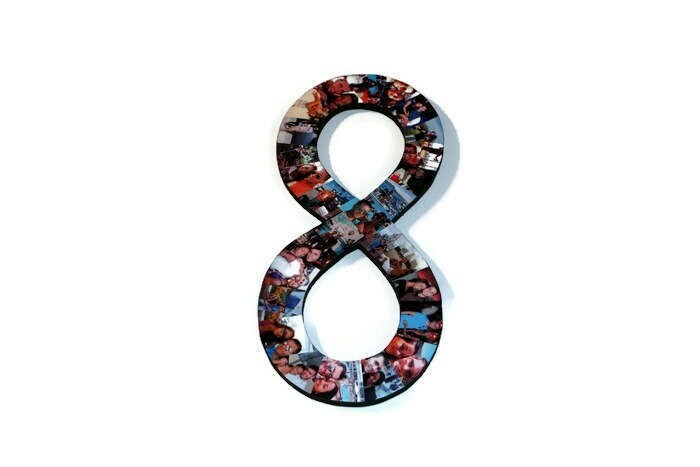 •	Each infinity symbol is about 18" wide and about 6" - 8 tall and 1/2 inch thick. 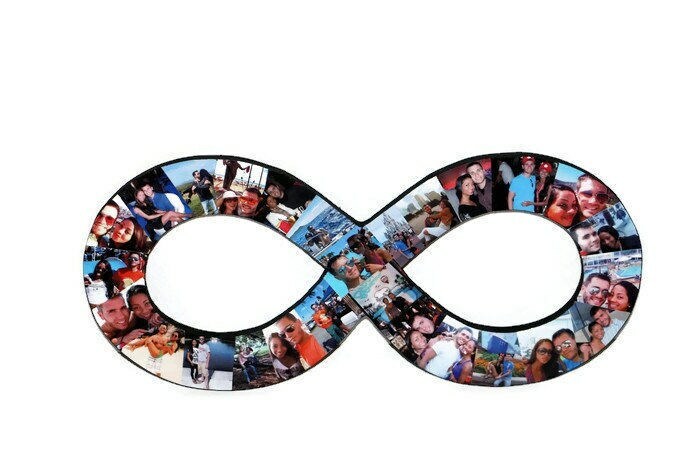 The infinity requires about 17-27 photos. 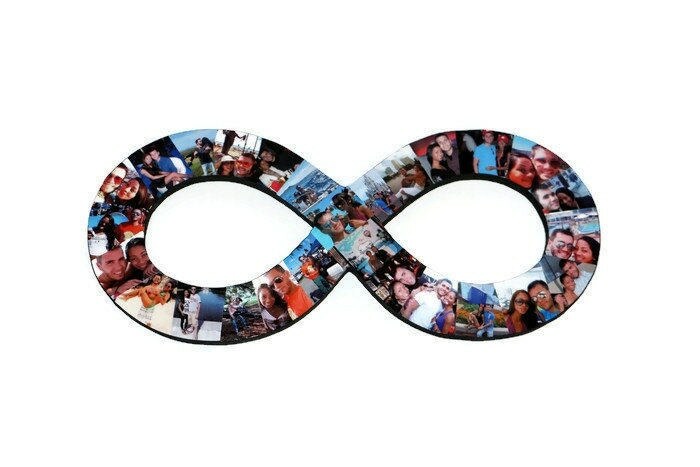 Please note that depending if your photos are horizontal or vertical or a mixed variety, I may end up using more or less photos to complete the infinity.